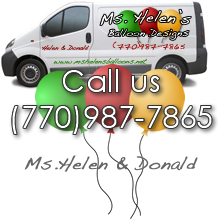 We used Ms. Helen's Balloon Design's to decorate our backyard for your daughters 6th birthday and it was beautiful. The theme was Hello Kitty and they did a great job, our daughter and her friends LOVED IT! We will definately be using them again for all of our speical events and parties.